How often does your website change? Integrated blogs are all the rage these days and it’s no wonder why. When you integrate a blog into your website, you create a webpage that you can easily modify anytime with new messages and pictures. Give your readers the current news about your business and they’ll keep coming back for more. Most blogs have no monthly fees and automatically include RSS capabilities, subscribing readers for notifications about new posts. 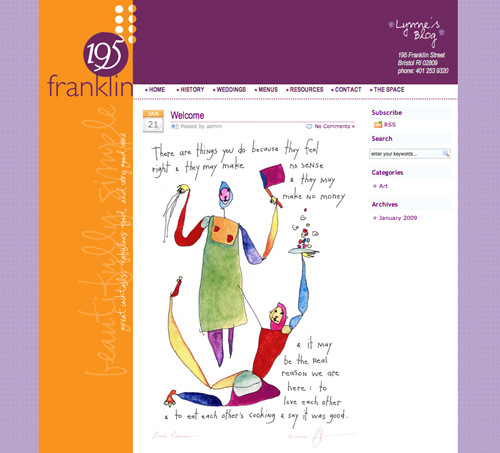 This new blog, created for 195 Franklin, demonstrates the company’s creativity and passion through posts of varied topics, including recipes, art, and other foodie-related news.